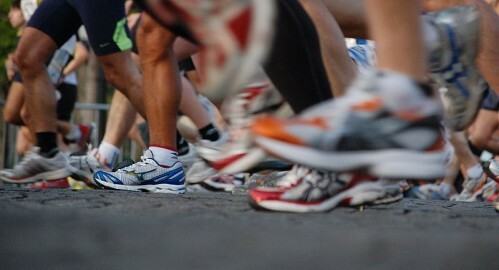 The modern marathon, a 26.2-mile endurance race steeped in tradition and celebrated worldwide, is just that – modernized. Since its legendary beginnings, the marathon has evolved to become the standard for showcasing superior athletic endurance. Most people know what a marathon is, many know it’s Grecian descent, while the origins of the marathon remain a mystery to the majority. “NIKI!” (or, in English, “VICTORY!”), exclaimed the Greek soldier Pheidippides as he stumbled, breathless and depleted, into the city of Athens. He brought with him the news – the Greeks had defeated the Persians at the battle site of Marathon. Legend has it, the final steps of his 24.85-mile trek from Marathon to Athens marked the death of the storied messenger, he collapsed upon arrival. And so, the dramatic finish line triumph was born alongside the marathon, and it’s been that way ever since. 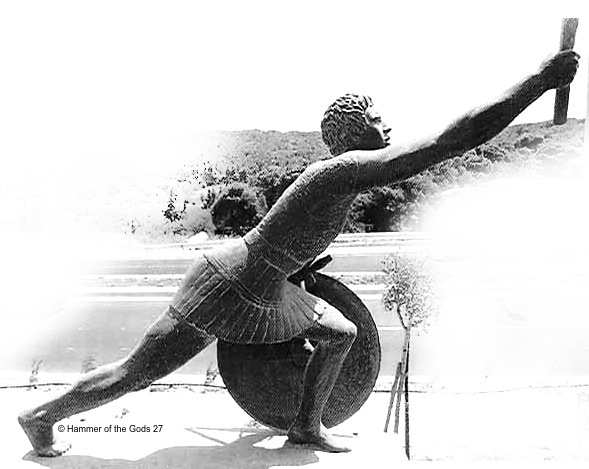 As the marathon now celebrated and memorialized Pheidippides’s race to his final words, the inaugural Olympic Games paid poetic tribute with their final event. 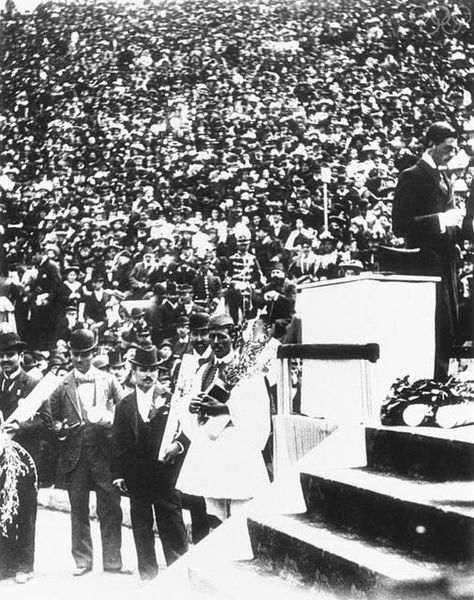 On April 10, 1896, the first modern Olympic Games neared a close with only the marathon remaining. Seventeen runners lined up on Marathon Bridge ready to race to Athens, the site of the finish line (the recently replicated Athens Ancient Stadium), just as the soldier, Pheidippides had done centuries before them. By the time the nine participating nations were gearing up their racers for the final showdown, the host nation of Greece had yet to medal in any event. The homegrown marathon, at a length of 24.85 miles, was their last chance at glory in the birthplace of the only event that could deliver it to them. Two hours, 58 minutes and 50 seconds later, Greek water-carrier, Spyridon Louis, crossed the finish line seven minutes before his competitors. Rather than collapsing in true historical fashion, Louis’ victory was met with the only gold medal Greece would win at the first modern Olympic Games. Traditionally, the Olympic Games are nothing if not slightly controversial. The games have experienced everything from alleged unfair advantage to suspected age violation to gear and food tampering to obvious outright violence. This year would be no different. The London Olympic Games council sparked heated debate when the distance of the marathon was altered to meet the desires of the royal family. In order to span from Windsor Castle to White City Stadium, an additional 2.2 miles was tacked onto the original 24.85. As a result, the tradition of yelling “God save the Queen” at the 24-mile mark began here. Right in front of the royal family’s viewing box was, of course, the only viable option for the finish line. Sixteen years post-tradition-break, the 1924 Olympic Games marked the end of a long and impassioned deliberation. The modern marathon, from that point on, would officially cross 26.2 miles – a distance Pheidippides would have never conquered. His triumphant news would have gone undelivered. His dramatic death would have been for nothing. His marathon would have become a tradition that never was.